Estate planning in Florida is just like anywhere else with one exception. Many people in Florida, vacationers or snowbirds, own an additional property in Florida. They only use these properties for part of the year. When it comes to estate planning, steps must be taken to ensure that the home in Florida is disposed of in the proper manner. The focus is to avoid triggering income tax. As well as estate tax charges by your home state as well as the Florida government. This is in addition to any concern you may have regarding the length of time you spend in the state of Florida. Maintaining your health insurance in your home state is another consideration. Also maintaining your home state or province from a tax perspective. There are lots of issues to consider and stay current with. We suggest a full investigation prior to making the decision to purchase property in any state other than your home state, especially Florida. Contact an expert and follow their advice to ensure that you minimize your taxes. Go into the deal with your eyes open. Many Canadians own vacation property in Florida. They will be charged a higher tax rate when they sell the their home. As well as if the estate must sell the home for them. A good estate planner will help you plan the proper way to dispose of your property to minimize the income tax that will be paid. Even if you are planning to purchase a property in Florida as a vacation home this is something that you should take into consideration prior to purchasing the property. Work with an estate planning lawyer. Or at least get an opinion from one before you make your property purchase in Florida. this is really important if you are a snow bird. A friend of ours has already purchased a Florida home as a vacation property. He has given no thought as to what the income tax impact will be when he sells the house. Or the need to dispose of it when he passes away. This is something that many people should plan for with regards to Florida estate planning. Plans change all of the time. In my neighbors case now he has no plans to sell his property. However in 5 years time or 10 years time, he may be tired of going to Florida all of the time. He may want to find something that is different. Even health issues may prevent him from traveling and he will be forced to sell it while he is still alive. Planning is key to ensure that your taxes are kept to a minimum. Meet with your tax adviser and financial accountants to ensure that your estate is planned properly to avoid paying too much tax. 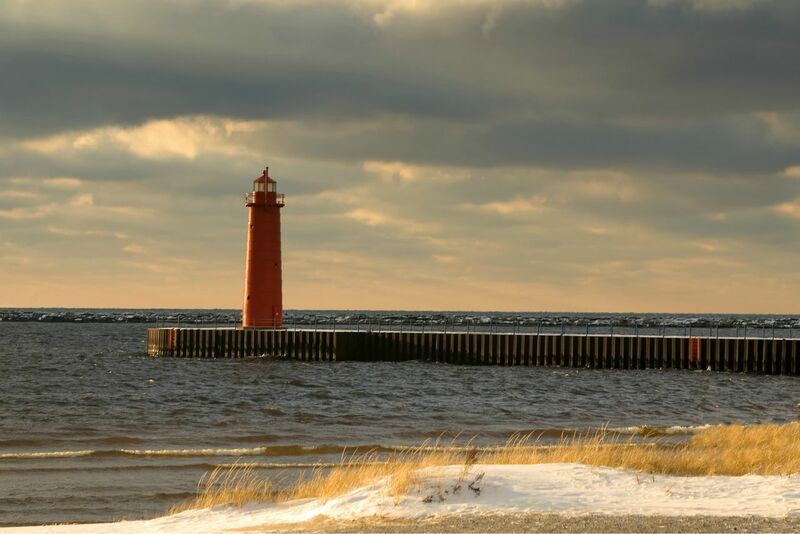 Estate Planning Newsletter – As someone who’s in retirement mode I am always interested in information about retirement planning and lately about estate planning. Estate planning newsletters is something that I have not seen but am interested in. I am looking for information about how I can organize my estate to minimize the tax impact. How can I make a larger amount of money available for my heirs . There are many issues to consider when planning your estate. For example your focus may be on minimizing the amount of tax that is paid from your estate to the government. Another area could be providing for your family to ensure that they can live comfortably after your gone. Some people even want to provide for their pets while others are more focused on providing for charities that have helped them out during their life time. Whatever the reason, setting up an estate plan is something that everyone should give some thought to regardless of the value of your estate. 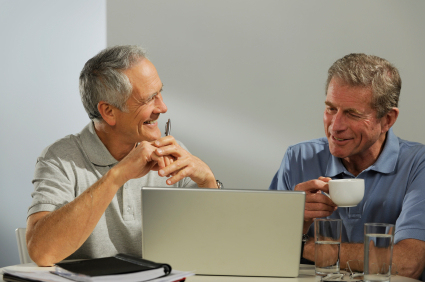 Always looking for new information is one of the things that many people can do in retirement. I find that many seniors are bored and are looking for something to do. This is one of the things that everyone should be interested in and that is managing your estate and finances. Even if you do not have a large retirement plan, or a lot of money to manage, or have someone who is managing your investments for you, you can at least ask intelligent questions when you meet with your financial planner for your estate plan. Retirement planning and estate planning is something we all should be interested in. After all we all have a quality of life that we are looking for while in retirement. This is something that many people ignore until it is too late. By addressing this issue in early retirement or even before you retire it will ensure that you set up a proper retirement plan and live the quality of life that you’re looking for. Retirement planning and estate newsletters has a lot of information that people can be reading. One friend of ours avoids reading any kind of information about financial affairs and anything to do with estates. He would rather spend his time watching golf, reading about golf and generally ignoring his financial affairs. As long as he has enough money to pay his bills he is satisfied. We think he has his head in the sand. Because he also likes to say that he is living on a fixed income. He is looking for support and maybe some camaraderie in his misery. But he will not talk about investment planning at all! We happen to think that all consumers should take an interest in their retirement plan. Also the investments that their retirement plan is involved with. Plan for your estate to minimize the tax to the government. Maximize the amount of money that will be available to support your heirs. Either way you look at it, why should the government get more than it’s share of the money you worked so hard for? Lately this issue of minimizing the amount of money that the government will take from us or from our estate is something we are thinking more and more about. We really want to leave as much as we can to our children. While at the same time enjoying our lives. We are not saving for our children. We are enjoying our lives but want to make sure that we have an estate for our kids and grand kids. Hiring an estate planning attorney in California should be done with care. Make sure that there’s a total alignment between your objectives and those of the attorney. Most attorneys will help set up the basic estate and trust for your grandchildren and your children. As well if you’re asking an attorney to manage your estate after you’re gone then further analysis and consideration should be taken. Setting up an estate must also have objectives. Usually this means that a dependent will be looking after the estate according to guidelines that are specified in the estate. The estate will include all investments, property and any other instructions. Often there are two people involved in planning the estate. A spouse and husband for example. As a result agreement to the estate and the manner in which it will be managed and set up is required. Subsequently all legal issues must be dealt with satisfactorily. Before you ever contact a lawyer to set up an estate, take the time to assess your objectives. Ensure that all parties who have something to do with the estate are in full agreement. Remember that one spouse may survive the other. 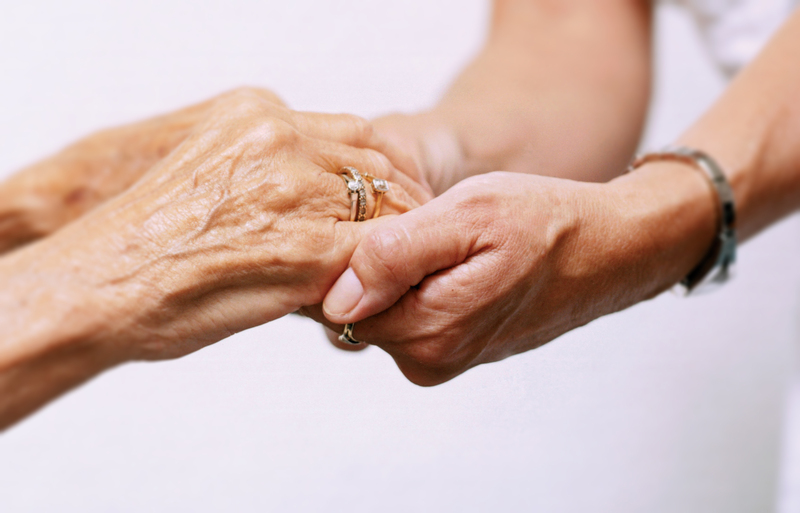 Provisions for the comfort and care of the surviving spouse must be included. Sometimes it can be difficult to resolve differences in how each party feels the estate should be managed. Talking it through and working through the issues may take some time and some compromise. You may also want to arrange for over site of the estate. This is to ensure that the estate manager is doing his or her job as per the original instructions of the person who set it up in the first place. 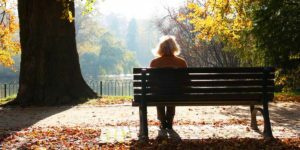 Just like every other job, estate planning attorneys in California will specialize in setting up trusts and estates, or managing the estates for the departed. In fact you may want to have one of your children or grandchildren co-manage the estate with the attorney. Start by interviewing several estate planning attorneys gathering information about what services they provide and how much they charge. Once you have this basic information, then write your personal objectives and plans for the estate. In the second interview with the shortlisted estate planning attorneys you can ask more detailed questions and narrow down the field to the one that you select to manage your estate. Setting up an estate is not easy. There are lots to learn and to consider. This process may take several months or even longer as you consider all of the alternatives and options. Take your time and make the right decisions as best you can with the aid of professional people in the business. Estate planning in San Diego or really anywhere in the country, is incredibly important. If you’re planning or hoping to reduce the amount of tax that your estate will pay when you pass away. The good estate planner will help you and your family set up the estate or a trust. They will make sure that there is money for your family to carry on after you’re gone. Also to minimize the amount of taxes that are owed to the government. They will also make sure that whatever tax you have to pay is minimized to the state. This is so important if you’re going to maximize the amount of money that will be available for your family. Protect your estate from the tax man. You will help to ensure that your family and heirs will end up with enough money to live more comfortably. They should enjoy life better than they might otherwise be able to. US taxpayers can save thousands or millions of dollars depending on the size of their estate. Avoid the tax penalties that come with your estate. Early transfer of money to your family may be one way that estate planners recommend. They may be able to avoid or reduce paying tax to the US government and the California government. For example, your estate planning practitioner might recommend that you transfer some of your non essential assets to your family while you are still alive. There are many advantages to this approach. First of all, you reduce your taxes that the estate will need to pay. You will also get to enjoy the happiness of transferring the investments or assets to your family while still alive. Many seniors have transferred their assets only to have their families squander the asset which can bring a lot of grief and sadness. Secondly, if you transferred an essential asset such as a home for example. Some family members have sold the home leaving no where for the senior to live. In addition they have no money to purchase another place or to pay to rent an apartment or a place in a senior home. Money unfortunately causes many people to do not so very nice things and your family is really no different from anyone else’s. We suggest that you transfer non essential assets to family members. By this we mean that the asset you transfer is not something that is needed to maintain your quality of life now or in the future. 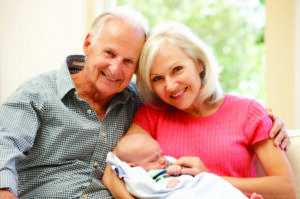 This approach affords some protection from a variety of issues and allows the person to live out their years in security and maintain an excellent quality of life. Estate planning will also help to ensure that your assets are well invested and working for you in an efficient manner. Many seniors will have a large chunk of cash set aside for a rainy day to deal with emergencies that may occur. It is an excellent idea to have an emergency fund set up and ready for something that many occur. But this does not mean that you must have the money sitting in a bank account earning very low interest. One senior had over $40,000 sitting in a checking account earning no interest at all. This was just so that she had access to funds that might be needed in the future for some emergency. This is a rather large sum of money. She was convinced by a financial adviser to place this money in a laddered GIC. Which still does not earn a great deal of interest income, but at least it earned some. The funds were invested in GIC’s with monthly renewals. As a result there was always a GIC maturing every month. It was re-invested if she did not need the money for anything. This approach gave her access to her money if she needed it. It also allowed her to earn extra income which she was able to use to live on. While technically this is not estate planning, this is an example of how to invest wisely. The GIC’s also had beneficiaries indicated in case something were to occur to her while they were invested, which is part of estate planning. Phoenix estate planners provide invaluable services to people who are trying to pass their estates to their children while trying to minimize the tax they will owe on their estates. There are many methods and approaches to this problem. Readers are encouraged to speak with an estate planner. They will asess your situation and the solutions that your personal situation offers as far as tax planning and estate planning are concerned. For example, selling the family farm to the kids, taking back the mortgage and then living off the income is one way to transfer the farm and minimize the tax at the sane time. Of course someone in the family must be willing to take over the family farm. They must operate it generating sufficient income to pay the mortgage and expenses even if it is interest free or at a very low amount. If there is more than one child involved, some discussion will be needed. Discuss how the child that is not taking the farm over will be treated. Most people want all parties to be treated fairly. Both parties, the farm owner and the son must have their own accountants. They must have a plan that is best for both of them! If one is not well looked after in this situation there may be some resentment. There also could be future tax issues that need to be resolved. The previous example was for someone who owned a farm. They wanted to transfer the farm to their children in the most tax efficient way possible. The process also applies to businesses as well. Although not all children want to take over the family business. Sometimes the business may need to be sold and the funds invested to generate sufficient income for the owners. Either way estate planning is extremely important to ensure that the amount of taxes are minimized and the money is there it pass along to the heirs of the person the estate is for. Obviously the simpler the better. A simple straightforward estate plan costs less to set up and to administer. However not everyone’s investments are that simple and family situations are also not that simple. There can be many children, spouses, brothers and sisters to look after and so on. What if you have a disabled child or a brother or sister who needs to be looked after. They may not be able to generate income on their own. And estate in the form of a trust fund might be needed to provide for the person with disabilities for as long as they live. This is just one small example of what parents may want to think about and may need to consider when they are setting up their estate plan. Setting up trust funds and estate plans may need the services of a legal team and certainly an accountant. If you have a large estate, this may not be onerous for the estate. If your estate is relatively small, then it may not be appropriate or necessary to have an estate plan drawn up. A simple Will, will be sufficient that divides the proceeds of the estate to the family members that you designate. The executor of your will should be carefully chosen. Someone you trust, someone who has the time and someone who has the knowledge to make the correct decisions for your estate and for your family. While a family member might be the logical choice, you will want to have all of the issues considered. They must have the ability to look after the estate. Also the knowledge to make informed decisions. As well as the political know how to navigate through the family politics is also a great asset to have. It is so important to have an estate planner, whether you are on Orange County or somewhere else in the country. Estate planners can help individuals and investors make sure that their estates are set up the way they want them to be. They can help to ensure that the estate goes to the family in the manner that they desire. Planners can make sure that it is done in a tax efficient manner. They can help to manage the estate while it is being wound up. Regardless of the size of the estate, it is important that someone plans for the estate dispersion in a tax free manner as much as possible. These steps apply to Estate Planning Orange County and anywhere else in the country. I just got off the phone with my brother who is talking about selling the family farm to his son. He intends to live off the interest income. In fact his son would pay only the interest on the mortgage to my brother who would hold the mortgage. He would have income and his son would have a deductible amount for his income tax . Another major advantage of this approach is that my brother continues to hold the mortgage. If for some reason his son is unable to meet the terms of the mortgage, the farm would move back to my brother. This approach allows my brother to have some income during his own retirement. He will be able to live a comfortable life without needing to sell the farm.A 3rd party in not involved and he does not need to move some place else. It also means that the farm will stay within the family. This is important for us since the farm has been in the family for close to 150 years. Finally my nephew can get on with developing the farm in a manner that he wants to without being controlled by my brother. After all he owns the farm and it is his to do with what he wants to. Another advantage for my brother is that he can continue to help his son on the farm when he is able and feels like it. This is also part of an estate plan. Knowing what you will do during retirement is something that is important for you own personal well being. An estate planner may not help too much in this area since this is not his forte. However it is important for all retirees to have something that they enjoy doing. Something that challenges then and keeps them busy when they have a great deal of time to themselves during retirement. The down side in this case is that my brother may have a difficult time moving from owner to advisor and helper. This will be a transition for him and it may take a year or two before he completely makes the transition. Transition of ownership and decision making must be managed properly. They want to avoid relationship issues and problems that could get between him, his son and his family. I am sure they will work it all out. But readers should take this into account when they are thinking about transitioning the business to close relatives. This brings up another issue which many people must face. In many cases there is more than one child. In my brother’s case he is planning to transition the estate to his son. When he retires he will purchase a home in a small town nearby and move into this home. When he passes on his daughter will receive the house as her part of the estate. The issue of making sure that all children are treated fairly in an estate plan is something that estate planners can also help with. Not everyone will treat all children the same which is unfortunate in the writer’s opinion, but this does occur a great deal. It is steps like these that an estate planner can really help people plan their financial affairs. They can enable income and minimize tax and transition the estate, whether it is a family farm or a business to your next of kin! Estate Planning for Pets. Believe it or not many people will set aside an estate for their pets. They want to make sure that they’re pet is looked after after they have died and continue to live in comfort. They want them provided with a place to live, food and all of the care that they would normally receive if their owner was still alive. For most people it is simply a matter of asking a relative to look after their pet or a close friend. Often there is no money provided for their pet. But they are confident that the person they request will take care of their pet for them. However there are some strange cases. The reason we decided to write this post was because of the person that we read about. She lived in New York and was also very rich. One person in New York City even wanted to arrange for their pet to be buried in the cemetery along side their owner. Unfortunately the city of New York would not allow this. The pet needed to be buried in a pet cemetery set up for this purpose. This was understandable. Even her large sums of money could not dissuade the city from their position. In the meantime there was a substantial amount of money set aside for the personal care and welfare of their pet. This included a person who was paid a full-time salary to look after the pet. You can be sure that this person wanted the pet to live as long as possible since it was a guaranteed job for them. The original owner also wanted her pet to live in comfort and to be well looked after. She left specific instructions regarding the care it was supposed to receive as well. For most people, it is a matter of making sure there is enough money left in the estate to look after their pet to provide food and health care. They will arrange with a family member to look after the pet as long as the pet is alive. They will also administer the estate for the pet. The family member is responsible for making sure that the pet is looked after. This includes providing all of the proper food that is necessary, is exercised, and is provided with a loving home while the pet still alive. They may even receive a small stipend to look after the pet for as long as a pet is left alive. But most people just give their pet to a relative and frankly hope for the best. It is up to the individual to take care of the pet. They need to make sure that it receives the proper food etc. The best approach by far is to have someone take your pet who loves pets. Hopefully they will adopt yours as if it was their own. The last thing that you would want to happen is for someone to look after your pet who really does not like pets. You do not want them taking it because they feel badly for you. Taking care of an animal is a big responsibility. Not everyone is up to the task nor do they want to have that responsibility. For some it is a labor of love. While for others it is just something they have to do. They really would prefer not to have to look after a pet. Think carefully about who you wish to take on the responsibility of looking after your pet before you give it away. Not everyone is up to the task. Nor are they always able to look after a pet. You may also want to provide then with some instructions and even money to take on the task. Estate Planning Lawyer. When would most people ever need an estate planning lawyer? For the average person, the only time that they would need a lawyer is to help them set their will. The will consists of two parts, the first is after you die . All of your assets are distributed to the people who you love and have left behind. The second part is what is called a living will. In most cases this is where you advise people how you want to be looked after while you’re still alive and can’t do it yourself. You also name someone as the person who will make the decisions for you while you’re still alive and administer all of your assets. 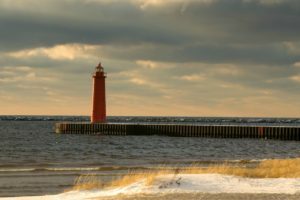 Estate Planning Lawyer – Assets? 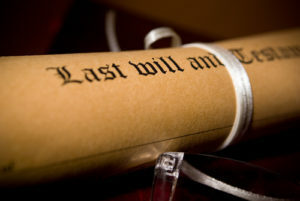 All of your assets that are included in your will are considered your estate. For people with small estates it is pretty simple and straightforward. All of their assets will go to their children or their wife or someone who they have named in the will. People with large estates, will need to do more planning and this is where estate planning lawyers may be useful in helping them set up their estate in such a way that all of their descendants are looked after in the manner they wish. They may want to include a family trust, which generates income for them or for the estate and then distributes this income to those people who are named as part of the family trust. They may use the estate planning lawyer to administer the estate for the trust with the input of the family who is receiving benefits from the trust. The estate planning lawyer should be chosen very carefully. It should be someone who has knowledge about setting up the estate and about setting up trusts for your family. It should also be someone who you trust who will do a good job and make sure that the estate is managed properly. After all your family and your descendents and dependents will need to exist based on the income from your estate. Some people will use a lawyer to draw up the terms of the estate plan. They will have a 3rd party actually administer the estate. This 3rd party could be a family member or it can be someone totally unrelated to the family. There are also companies that administer estates. However they do charge fees for this sort of thing and they can be quite costly. However if you have a large estate and it is a complicated affair, you may want to hire experts to do this management for you. It reduces the friction between family members if something is not executed properly. A 3rd party is often a good arbitrator. Conflict can arise when one family member does not agree with the will. Or they may not agree with the manner in which the will or the estate is being managed. Many people unfortunately just want the money and to get on with their lives. If this is what you intend and desire, then by all means just give it away. However there are tax consequences and there are family management issues that many lawyers and accountants can assist with when it comes to planning ones estate. We suggest that readers take the time to investigate the details. Talk to experts to make sure that you are in fact setting up your estate in the proper manner. Your estate is intended to provide money to look after you while you are still alive. You will need to make sure that it is being managed by someone who is 100% trustworthy. Money can corrupt even the closest of family. This is sometimes comes as a large surprise to many people. One way to manage this issue is to have two or three people in charge. No one person able to make any decisions independently. The obvious negative is that sometimes it is much more difficult to make decisions if they do not agree on issues. There are a number of reasons that you will want to hire a lawyer for estate planning purposes. The first and most obvious one is to prepare a will. 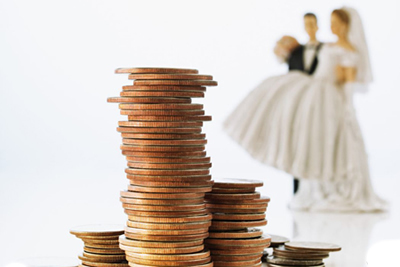 A will that will distribute your assets in the manner that you feel will be best. In addition to a will, most people will also arrange for a living will to be prepared. A living will tells your family how you want to be looked after when you can no longer make decisions for yourself. While this is not technically part of estate planning most lawyers will encourage their clients to prepare this will as well. If you do nothing else, make sure that you have completed these two steps prior to starting estate planning. Most lawyers will encourage clients to plan their estates to minimize taxes at the time of death which includes probate taxes. Although they are not accountants, a good tax lawyer can assist clients with taking the right steps to protect themselves. This includes taking the steps needed to reduce taxes at the time of death. They will also provide guidance regarding some of the risks associated with these steps. Also ways to avoid any major problems based on your personal situation. The complexity of your estate will determine what professionals will be needed. 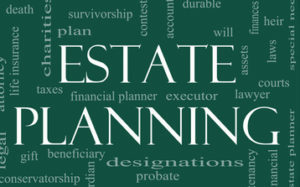 They will assist you in planning your estates probate and your overall estate plan. Most people have a home, a car, personal effects and their investments. All of which are subject to probate unless they are jointly owned in which case they just move to the surviving spouse or family member with no probate necessary. Registered investments will be taxed on the day of death unless they are transferring to a surviving spouse. Again check with the experts were you live since various countries and even states may treat these issues differently. A common way to minimize probate taxes which your lawyer will discuss is to place the assets in joint ownership with your surviving spouse or with another family member. The client will retain ownership and management of the asset until such time they pass away. At that time all assets that are jointly owned would transfer with no taxes to the remaining owner. Safeguards need to be in place to protect the client. You want to avoid the assets being sold when they are no longer able to make their own decisions. Estates can become very complicated especially if they have many properties and assets of different kinds. Plans should be drawn up to manage the transition to new owners. Or to have the assets sold to maximize their value for the estate. The executor should be carefully chosen to ensure that he or she can carry out all of the instructions of the will. The executor and your lawyer will work closely to ensure that this occurs as planned. Hire a lawyer for estate planning and possibly also accountants to make sure that all tax laws are met while at the same time the taxes that must be paid are minimized. Some financial advisers also provide this function as well. Estate planning should be arranged and completed while the client is still of sound mind and can make the necessary decisions. A word of caution. Anyone who charges a fee and makes more money if you follow their advice should be suspect. If they prepare recommendations which if followed generates income for them, get a second opinion. We suggest getting a second opinion from someone who will not benefit from the transaction. This will make sure that it is really in the financial best interest of the person the estate plan is being developed for. There are just too many advisers who will recommend plans that make them money and cost you a great deal. Many people are concerned about paying probate taxes on their estates. They would like to minimize the probate taxes. Many would like to leave as much money as possible to their estate and their heirs. They simply do not want to leave cash to the government. As a result they will adopt many schemes to avoid paying this tax. Everyone should take steps to minimize the tax they pay legally. They should be thinking of this all of the time . You can be sure the tax department is thinking of ways to tax us more everyday! Governments levy a tax on the estates of people who have passed away under specific rules and guidelines. Depending on the size of the estate and the planning that is done ahead of time, probate tax can be reduced from thousands of dollars to hundreds of dollars. Makes sense to do estate planning for probate taxes. There are legal methods to avoid probate taxes and to set up your estate in such a manner that the probate taxes are minimized. We will list a few here and then discuss several in a bit more detail. Regardless of what you read here or anywhere on the web, we urge readers to contact a lawyer and an income tax specialist to make sure that what you are doing is legal to start with and secondly is in your best interests as well. After all you want to remain protected while you are still alive. Anything that is jointly held will automatically usually go to the remaining person. This can include cars, homes, investments and personal items. Most couples will own their own homes jointly. 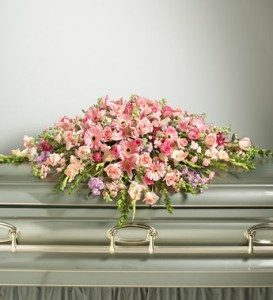 As a result there will be no probate tax generated when one of them passes away. Once the remaining spouse passes away, probate tax on the home for example will be generated. Unless you make the home in joint ownership with another person, usually a child. Some people will go as far as transferring the asset to the child with the understanding that the asset will remain for the personal use of the parent. In most cases there is nothing wrong with this, but every once in awhile you hear about a child taking advantage of their parent and leaving them destitute. Talk to your lawyer and other family friends before you take this serious step. Adding a child as joint owner appears to be a better solution since when the parent passes away the asset is automatically transfer to the child as specified by local laws. This also avoid probate tax and is a great way to conduct estate planning of probate taxes and minimizing them. The danger here is if the same child has power of attorney and can make decisions on your behalf. Again discuss these issues with your lawyer and close advisers. The laws vary a great deal in many countries. They all have various probate tax law and while what we have discussed will usually work for many people in many countries, it is important to obtain legal advice regarding your rights as well as current probate tax laws in your country or state or province. Minimizing probate tax is an important part of estate planning and we think that most people will want to at least look at this issue and make a decision regarding what they need to do to minimize probate taxes. Do not wait until it is too late. Your health may fail all of a sudden and some locations have laws in place that will include any transaction completed in the last two years of life as part of the estate for probate purposes. Ever wonder what life insurance and estate planning have to do with each other? Well I did until I started looking into it. One day I was trying to figure out if I should keep the life insurance I have had for the past 30 years. I initially purchased it to have insurance in case something happened to me. The family would need money to survive. I wanted to make sure that my wife would be ok financially. Also that my kids would have enough money to go to university. I ran through all of the calculations at the time to make sure there would be enough money. Well that was 30 years ago and I still have the same insurance and was wondering why I continued to keep paying for this insurance. I spoke to my financial adviser about it and he suggested that I take a look at my current cash flow and determine what the impact would be if I passed away. The kids are fine and out working. They are on their own, but my wife is not and would need to be able to pay the bills etc. So by asking what the impact on the cash flow would be if my income stopped my adviser triggered me into doing some estate planning and life insurance. So when I calculated the change in income, I quickly realized that my wife would not have a very good life if something happened to me and my pension stopped etc. the answer of course is life insurance which would provide enough capital to sustain my wife in her current lifestyle. An illustration is probably appropriate at this time. You will have to use your own numbers of course and I have used easy numbers to illustrate, however you will get the idea. Let’s assume that the family income would drop by $10,000 a year if you passed away. Probably not realistic, but this is an easy number to use. Basically you need enough life insurance to generate this income. If you decide to live on the income only, then you would need $100,000 invested at 10% to generate $10,000 a year in income, so in this example a $100,000 life insurance policy would be sufficient. Today most investors would tell you that you would be lucky to generate 5% on your investments, so you would probably need $200,000 in life insurance. This would go indefinitely as long as you never touched the principle. Now lets assume that you are 65, your spouse is 65 and you will live to the age of 90. You want to draw the maximum income you can. Under the same assumptions you have $200,000 in insurance, how much can you draw assuming a 5% interest rate? The answer will be $200,000 divided by 25 or $4000 a year plus a declining interest income. In the initial year the income would be $4000 principal plus $10000 in income. The following year you would take out another $4000 and the interest rate would generate .05 times $190,000 or $9,500, a drop of $500. With all of this analysis I conclude that I still needed to have life insurance to ensure that my wife would have sufficient income after I pass away. The amount I need does decrease the longer I live. The other reason for estate planning and life insurance is that you want to pay all of your debts when you die. If you owe $25,000 to a credit card or personal loan, then your estate needs to pay this amount before anything is paid out to the survivors. We have come to the conclusion that we need to do estate planning for our life insurance needs every year taking into account the income needed if one of us were to pass away and also to take into account all of the debts that we may have. If there are no debts then estate planning is made a bit simpler as far as life insurance is concerned. Hope this helps our readers. Most people will just make sure that one of their relatives will take over the care and feeding of a pet. Sure it might be a bit of an inconvenience. But then most people love pets. If it is a pet that is from a close relative there usually is no problem. But what do you do when there are no relatives, or friends, to look after your pet? This is where pet estate planning can become a reality. Many people will make arrangements in advance for their pets. They want to ensure that they are looked after while the owner is sick or can no longer look after them. 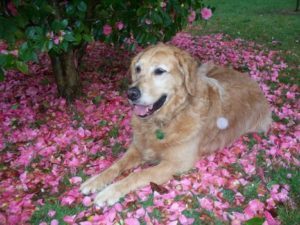 There have been some notable cases were people have left their entire estate in the millions to their pets. They leave explicit instructions of how they will be looked after. Also where they will live and how they will be fed. Even going to the extent of dictating where they will be buried. Pet estate planning is serious business for these people. They want to make sure that their pets will be looked after and then buried properly when the time comes. They will even ensure that their estate is responsible to maintain the grave site after they are gone. While it may seem odd, pet estate planning is no different from what it would be for a dependent member of the family. In fact many people consider their pets as members of the family. Some occupy better positions than some of the humans in the family. How does one handle these situations? What do you need to do to make sure that your pet is looked after properly. The answer is for most lawyers is to approach this question in the same manner that you would a dependent child. In other words, you need to make sure that there is a guardian. Someone who will responsible for the estate to ensure adequate funds are available. Also to look after the care and feeding as well as housing as dictated in the will. Finally to look after the pets remains and have them buried or dealt with in the manner that the estate laid out. Pretty simple really! The difficult part will be finding someone to be the guardian. Someone that you trust to look after your pet. Also to be responsible as far as the estate is concerned. Safeguards need to be put in place to make sure that these people meet their obligations as stated in the will. After all the pet is unable to defend themselves. 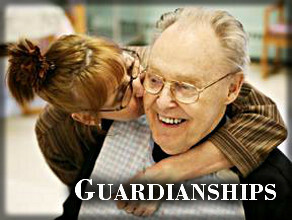 They must rely on the good will, honesty and integrity of the guardian to fulfill the wishes of the deceased. For most people, the common sense approach is to have one of the family members look after your pet and to provide a monthly amount of money that would be suitable for the care, feeding and housing of your pet. This also should be someone you trust to really give your pet a loving home. The estate where the funds are located to pay this monthly fee could be looked after by an independent trustee so that there is separation between guardian and trustee. Once the pet passes away, instructions from the will need to be clear about what is to be done with the remainder of the estate. Your lawyer will remind you of this need and ensure that the appropriate wording is in place to instruct your executors of what is to be done once your pet has also passed away. That is our thoughts on the matter, however we would appreciate hearing from readers regarding your thoughts. Who Should You Leave Your Assets To? That may seem like a funny question to many people, yet many of us have a tough time trying to decide. Some like us just want to leave whatever we have equally to our kids. No favoritism and certainly not to create any more sadness than there already will be when we pass on. Some people prefer to divide their assets among their children based on perceived need. This happens a lot if one child has been very successful while the other has not. Still other folks say, my kids are adults they are on their own and I am going to spend my money and enjoy myself as much as possible. Another group would like to leave their assets to charity and just a little bit to their children. What is your plan? You should have a plan regardless of what your feelings are on this subject and you should put your intentions and plan in writing so that everyone understands what it is when you pass on. What is the right answer? Well, it seems to vary for just about everyone. We will discuss some of the pro’s and con’s of various strategies. This is the plan that I favor. I love my children and want them to know that we loved them both equally. So whatever assets are left when I pass along, I have decided to have the assets divided equally. My children should feel like they were treated equally and that they were both valued equally by their parents. I am going to enjoy myself as much as possible so I will spend some of my estate before I pass along. In a way this approach overlaps a bit with one of the strategies below. Although I will spend some of my estate and I am not going to avoid travel etc so I can leave a large estate, I fully plan to have an estate that I will leave to my kids. We have seen situations, were one child was deemed to be more in need of help than others. In this case the parent decided to leave a larger portion of the estate to that child at the expense of the other children. A great deal of pain was caused in the situations we are familiar with and the last thing we want to do is cause more pain. One child may have a great job, all of the toys, the house the car etc, while the other has not been as fortunate. There are many reasons for this difference and we will not go into these differences here, we will just accept the notion that some kids just do better than others. Although you are helping the child that is more in need, you are hurting the other children. You make them feel less in many ways and not as loved as much as the other child. This is a terrible thing to do in our opinion. One of the questions you need to ask yourself when you make these types of decisions, is how will the new found assets be managed by both kids. The child that is more in need is their for a reason. Perhaps they made some bad decisions through their life. Take these sorts of things into account. Another group of people feel they have worked hard throughout their lives and deserve to now reap the results of their savings during retirement. Spend all of their savings and enjoy life to the fullest. Well you can do this, but we think it is a nice legacy to leave something to your kids. It is hard to know just how much you will need, because let’s face it we do not know how long we will live. You might spend all of your estate and then have to live destitute for the remainder of your life. That certainly is no fun. There is fine line between spending your estate, enjoying life and living comfortably. We think that it is better to save some money for your later years even if that means some will go to your kids or other family members. If you are wealthy , have no heirs or just want to leave your estate to a charity, choose carefully. There are many excellent charities who really do some good work and help people. Unfortunately there are lots that pay themselves well first and then if there is money left over they then put this towards the charity they were set up to help. Not having a plan is probably the worst situation. If you do not have a plan, you probably do not have a will. Which means the government steps in and divides your assets among your relatives after they take their management fee’s. You can avoid all of this expense by having a simple will that says divide your assets among your heirs equally. It is pretty simple and you do not even need to name the heirs, just say your wife and kids if you have either.